This entry was posted on April 16, 2019 by Tom Hyder. As demonstrated by the high profile case of Prince Philip waiting until his late nineties to reluctantly give up his driving privileges following an accident , the independence provided by one’s car is not easy to relinquish. We know that with advancing age, we experience changes in motor, sensory and cognitive functions that can threaten driving safety. Clinical conditions more common in older adults as well as medications used to treat those conditions can also create greater risk behind the wheel. This webinar will show that it “takes a village” to create an environment that facilitates a smooth transition to no longer driving. It will provide resources that older drivers and their families can use and guidance on steps to follow, with a focus on the role occupational therapists play in assessment and interventions to maximize safety and ease that transition. Learn about long term and short term strategies older drivers and their families can use to facilitate the transition to community mobility alternatives. Learn about the role of occupational therapists in assessment, intervention and transition counseling. 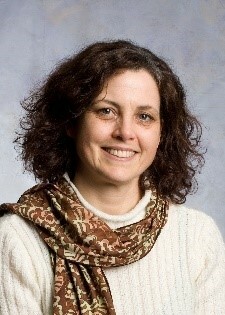 Catherine Sullivan, Ph.D, OTR/L is a faculty member at St. Catherine University’s Henrietta Schmoll School of Health. Her scholarship and teaching focus on occupational therapy interventions with older adults, including a Masters’ Project course on improving older driver safety. She has presented internationally, nationally and locally about older driver issues and is passionate about partnering with local organizations such as the MN Safety Council, AAA- Minneapolis and others to educate the public on ways to stay safe and mobile in the community. Jennifer Fischer, MS, OTR/L, CDRS, LDI has practiced as an occupational therapist for 17 years, working with adults in an inpatient rehabilitation center for 12 years before specializing in driver rehabilitation. She currently provides driver assessments and training at Courage Kenny Rehabilitation Institute. She has a particular interest in working with older adults to maintain driving as long as it is safely possible.